That statement, from Cornell’s Emin Gün Sirer, may have come in the middle of the second and final day of the Scaling Bitcoin conference, but it was perhaps the overriding theme of the latest edition of the digital currency network’s developer summit. Despite the public visibility of a protest event scheduled in parallel with the conference, the content of this year’s event did much to showcase that, for many developers, the “block size” is no longer a significant factor in discussions about how the network should increase capacity. Over the course of both days, talks largely moved on to more incremental discussion of the various “trade-offs” that should be considered when making changes to bitcoin’s basic components – and the complex ways they interact. 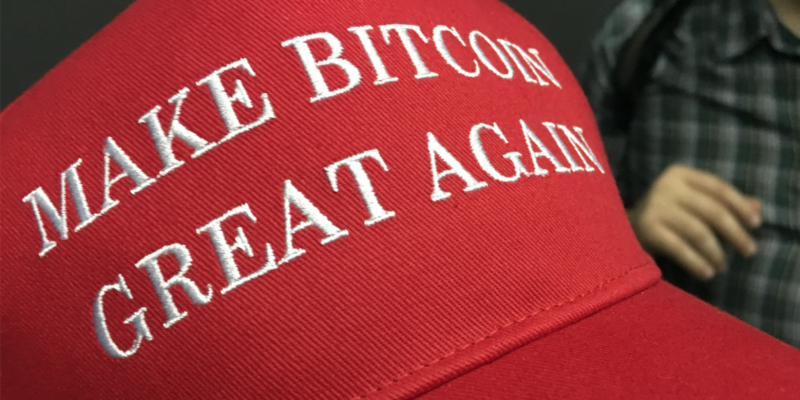 Still, Lombrozo acknowledged that the block size (and the pronounced and public feud over whether to change the hard-coded limit to the number of transactions bitcoin can process with each batch of transactions) remains a “cultural phenomenon”, one its technical community is still trying to move forward from as it navigates a market now dominated by blockchain solutions. The day’s talks provided a deeper explanation of this subtle change in thinking, with Blockstream principal architect Christopher Allen noting that the social consensus of developers has deemed the block size a non-issue. “I think it was very clear after [the previous conference], which debuted SegWit, that there’s now a rough consensus of how things are going. The technical community is already a few steps beyond that,” he explained. Blockstream’s Greg Sanders emphasized the argument in his morning talk centered on lessons he hopes the community takes away from progress on Segregated Witness, a planned soft fork that will change how transactions are stored by the network and that continues to inch toward implementation. “Let’s stop talking about the block size. Let’s talk about weight, the weight of a transaction, the weight of a block, the externalities it puts on the system. Let’s talk about throughput. We can put more information in small spaces, so let’s look at these problems,” Sanders said. Put more flatly, Blockstream’s Jorge Timón said the block size is simply “not an interesting topic”. Yet while Timón spoke for the majority of attendees surveyed, a vocal minority was still represented at the conference in full force, a development organizing committee member Pindar Wong called a “social fork”. Investor Roger Ver, a vocal proponent for larger blocks, held a “Free Speech Party” on the night of the first event. Attracting roughly 20 guests to a nearby hotel, the event saw the screening of proposals that were rejected from the Scaling Bitcoin conference, as well as discussion on why capacity should be dramatically increased to accommodate more users. That meeting emphasized discussion of a proposal for “Xthin blocks“, as well as work by researchers to prove how larger bitcoin blocks, as enabled by an alternative proposal called ‘Bitcoin Unlimited‘, could be executed on the network without increasing the time it takes for the data from those blocks to reach nodes and miners located around the globe. Also voiced were reasons why the initiative should have been considered by the Scaling Bitcoin conference, as well as fears that an alternative digital currency could overtake bitcoin’s market position. Further, attendees criticized the conference’s approach as one that was “not data driven”, while top-level bitcoin scaling initiatives like Lightning were dismissed as “vaporware”. Bitcoin Unlimited’s Jerry Chan, who spoke during and attended both events, said he believes the decision to exclude the talk was due to a desire to “avoid contention at all costs”. “I think that some of the talks that were excluded would have been very useful because they directly address issues that were brought up in the past,” he said. Perhaps most notable, however, was who the protest event attracted. Major mining sector representatives were in attendance, including Bitmain’s Jihan Wu and ViaBTC’s Haipo Yang. Elsewhere, the theme of the day’s talks centered on smaller changes that could be made to the network, and the sometimes intricate side-effects they may have on bitcoin at large. For instance, Blockstream’s Peter Wiulle gave a talk on Schnorr signatures and how they compare to the elliptic curve digital signature algorithm (ECDSA) bitcoin uses to ensure funds are spent by their owners. Still, the talk highlight just how much work would need to happen should even this small tweak to bitcoin’s gears be considered. With Schnorr signatures, Wiulle presented how the concept is now enabled by SegWit and how it could require only one signature for transactions with multiple inputs, and that only this signature to be sent across the network for the transaction. However, he noted how bitcoin’s address structure posed a problem for the change, as did new potential attack vectors, leading him to ultimately call for more academic work on the idea. Yet another talk, which look at the performance of proof-of-work blockchains, saw a comparison of block propagation on the bitcoin network and other alternative blockchains. Here, presenter Arthur Gervaise of ETH Zurich reviewed how simulations conducted at the Swiss university show the time between bitcoin blocks, currently set for roughly 10 minutes, could be reduced to 1 minute, while enabling 60 transactions per second safely. That’s not to say that big ideas were not discussed. Some proposals saw prominent developers, including Peter Todd and David Vorick, overview radically new ways to rethink how bitcoin could work. Particularly notable was Todd’s talk on scaling via client-side validation. Here, Todd posed the question of whether miners were needed to validate transactions at all, questioning how redefining their relationship with nodes (a fundamental building block) could lead to better scalability. “You can say miners validating is kind of an optimization. It does have some interesting social effects. I can create this rule and a litecoin and bitcoin can exist on the same system,” Todd theorized. Yet, there was a sense that bitcoin’s emphasis on fundamentals is perhaps frustrating to academics intrigued by how it could solve larger issues. For example, Sirer’s talk on an update to his ‘Bitcoin Vault‘ proposal, in which ‘covenants‘ would be added to transactions as a way to restrict the risk they could be executed a malicious actor in the event of theft. In a Q&A session, the idea was met with more pointed questions. There was particular disagreement, acknowledged in the talk by Sirer, about how this would compromise the fungibility of individual bitcoins, or the property by which any one bitcoin can be exchanged for any other. However, Sirer called for a willingness to accept perhaps imperfect solutions to the negative side effects. “At the end of the day fungibility is already not protected by any in-protocol mechanism, it’s protected by the social contract that we must have fungibility,” he said. In comments, visiting academic Bryan Ford of École polytechnique fédérale de Lausanne (EPFL), noted he would have liked to have seen more examples of “significant improvements”. A self-proclaimed “outsider”, Ford questioned how much he would continue to invest in the community given that the narrow focus. As such, the comments point to the divisions that could be forming around the bitcoin community, even as it tries to put more contentious scaling debates in the past.